Wide choice of Garage Doors & Openers | Seacoast Overhead Door Inc.
Seacoast Overhead Door Inc. is a family-owned and operated company serving the Rochester, Dover and Portsmouth areas since 1997. We believe our customers deserve only the best. 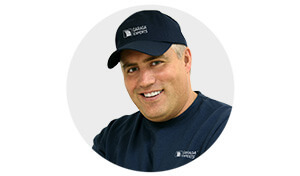 This is why we offer garage doors manufactured by Garaga, the leader in the industry. The overhead residential and commercial garage doors sold and installed by us are guaranteed to withstand the harsh winters of New Hampshire because of the high performance thermal breaks found over the entire door. Because we understand the importance of curb appeal as a major resale factor and as a reflection of the owner's care for detail, our skilled sales representatives will help you find the perfect match for your project among the wide range of available models and colors. We invite you to visit our image gallery to get an idea of our garage door selection. Stop by or give us a call! We will make sure you find that perfect garage door that will add elegance and value to your home. Please contact us for a free estimate. Studies show that most homeowners use the garage as the main entrance into their homes. Even if you are one of the few preferring to use an alternative entrance, you will agree with us that the garage door should open and close securely and safely. This is why we recommend LiftMaster®, the world's #1 professionally installed garage door opener. Being the largest and heaviest moving object in your home, the garage door should be operated with utmost care and safely. Manufactured by The Chamberlain® Group, LiftMaster® garage door openers are dependable and can withstand the most severe weather conditions. Please visit our door opener section for additional information about the performance of our garage door openers. Stop by or call us today and our experienced team will help you find the right garage door opener for the size and weight of your door. Seacoast Overhead Door Inc. is specialized in the installation, repair, service, and maintenance of all types of overhead garage doors, door openers, and accessories. We believe that our customers deserve the best service. Therefore, our company has an impeccable track record in customer satisfaction. Do not hesitate to contact us if your garage door or garage door opener does not function properly, or needs repair. We carry a large inventory of replacement parts, allowing us to offer fast and irreproachable service. We also offer preventive maintenance programs that will ensure the long life of your garage door. Seacoast Overhead Door Inc. offers also 24‑hour emergency service. Our goal is 100% customer satisfaction! Call us today to schedule a visit from one of our sales representatives, or one of our technicians if your garage door or garage door opener needs repair or inspection. We service the area around Farmington, NH including Rochester, Dover, Portsmouth, Hampton, Somersworth, Madbury, Durham, Barrington, Wakefield, Wolfeboro, Milton, Alton, and Ossipee. Farmington, Rochester, Dover, Portsmouth, Hampton, Somersworth, Madbury, Durham, Barrington, Wakefield, Wolfeboro, Milton, Alton and Ossipee.